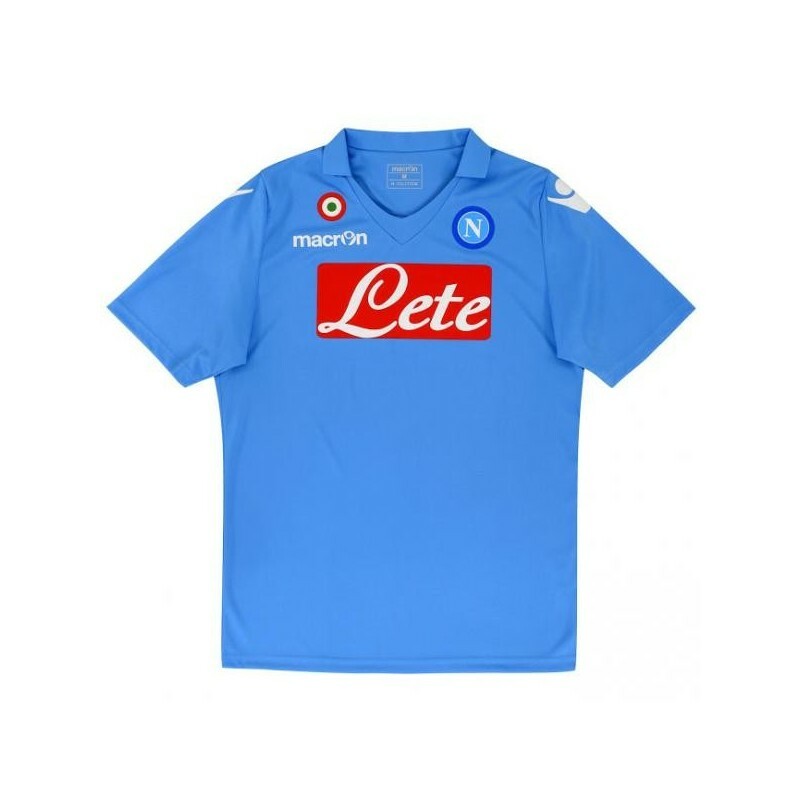 Napoli home Shirt replica 2014/15 Macron. 100% Polyester Fabric. 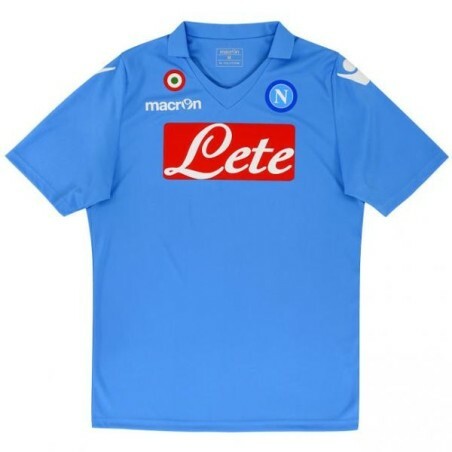 Logo SSC Napoli and Macron in a transfer, the official Design with details of NAPOLI, Sponsor LETE in the transfer. Cockade Italian Cup 2013/14. Season 2014/15 is the technical sponsor Macron.